Topsoil is a type of soil that is useful in many capacities around your property. It is perfect for landscaping and seeding a yard, for example. It is also the type of soil you use to prepare flowerbeds or vegetable patches. This is because any gardener knows that a nutrient rich soil encourages plants to grow to their full potential. When seeding a garden, topsoil will help the grass to grow thickly and evenly. Grading is a construction term that simply means adjusting the gradient of the land surrounding your home. You might have a plot of land that has lots of hills and valleys and you want it to be flat so you can build on it, for example. In this case, you grade the land to be level using fill dirt. Topsoil cannot be used for grading because it is too prone to settling. Topsoil is high quality soil that is full of nutrients, but this very fact makes it terrible for any project that requires stable soil. The nutrients are organic materials, which change in mass or decay over time. Thus, if a section of land was graded using topsoil, it would have air pockets and weak areas after a year or two. This is not recommended for the soil you want to place a heavy structure on! Sloping is a type of grading that involves creating a slope on level land for reasons like encouraging better drainage. Houses aren’t meant to be surrounded by entirely level land. Even the tiniest angle of a slope is better than land which is completely flat. This is because there are too many systems in a home that use water, and rely on water being drained away to keep the structure sturdy. If you keep land 100% flat, pools of water will form after rain, laundry cycles will gradually cause water damage to the foundations, and many other water-related problems will arise. Site preparation is the umbrella term for the beginning stages of construction on a new residential or commercial building. More often than not, a purchased piece of land will have debris, rotten trees, and various obstacles that interfere with your overall construction plans. In such cases, the site needs to be prepared. This might involve digging up an old tree that has roots that are too close to the site of the new building. Alternatively, it might involve a heavy duty tidying up of scraps of metal or old pipes. Topsoil cannot be used for ditches for the very same reason it is a bad choice for other construction projects. If the valley of a ditch is responsible for site maintenance, the topsoil will sink or fall in on itself over time, resulting in a heap of soil where the ditch should be. Alternatively, a ditch may need to be filled. This is often the case with regards to older structures that have old plumbing or drainage systems. 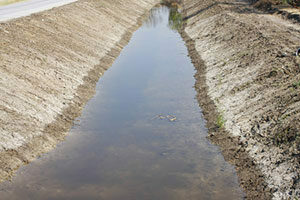 Fill dirt is suitable for filling in a ditch because it doesn’t contain organic matter so is very stable. Topsoil, however, contains too many nutrients that will interfere with the stability of the project. A drainage pathway is when you want to direct drainage away from a residential or commercial building by creating a pathway using soil. It is a useful way of ensuring that the flow of water is guided in the desired direction. The projects above can’t be done with topsoil, but there are still lots of things it can be used for. If you’re considering a project that requires topsoil, you should consider some advice before proceeding. Calculating the weight of topsoil, for example, will help you ascertain how much you will need for your project. You will also need to factor in the cost. 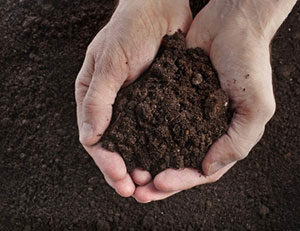 The cost of soil in general varies because its composition is different depending on its origin, so bear that in mind.